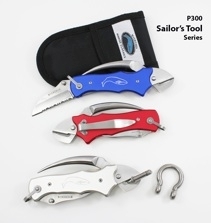 P300RD Sailor’s Tool Red – Myerchin Inc.
Now Generation 2 with improved design features for even greater rugged utility. High visibility red Aluminum handle slabs. Stainless steel frame. 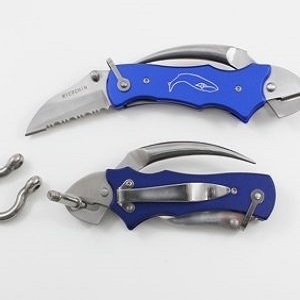 Double Lock (securely locks blade, spike, or both). 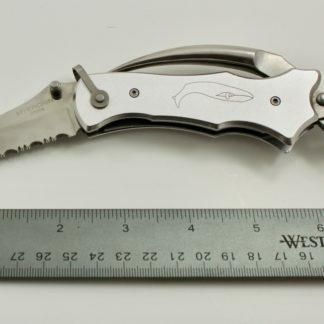 Includes Ballistic nylon sheath, 440 C stainless steel 3/4 Serrated blade, 1/4 Traditional blade. 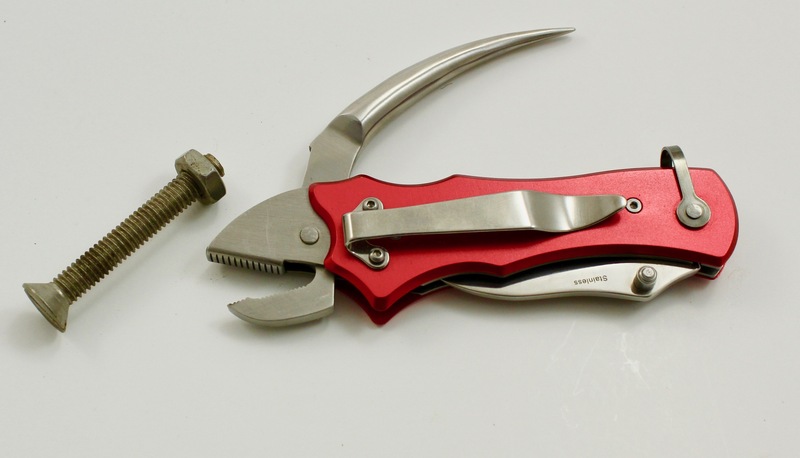 One hand open, tether loop, belt/swim trunks or pocket clip, fully functional pliers for opening shackles, etc. This unique design represents the result of years of testing in the field. All the tools that a sailor depends on… and needs. Warranty: Full year warranty. If you are unsatisfied within the first year, return for a replacement. Ideal tool for: Sailors, Merchant Seamen,Backpackers, Truckers. Climbers… anyone who regularly uses line in their daily work. 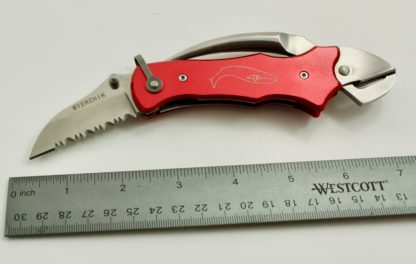 Model: P300Rd, “Sailor’s Tool” Red handle.